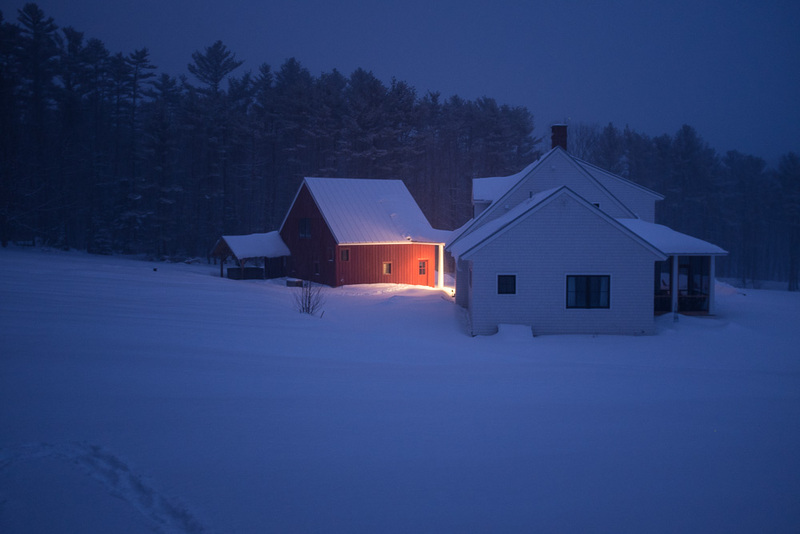 Another snowy night here in Maine. 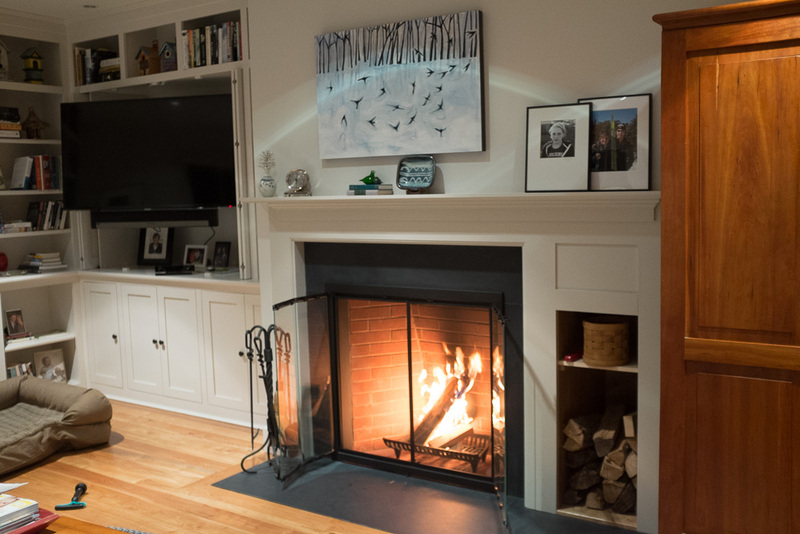 We celebrated with a walk around the neighborhood and the first fire on Dash Landing. ← Snow in the field. Thank you. Our architects head is swelling by the minute. Beautiful home. Looks like you guys are all settled in (a lot sooner than we ever were, we still aren’t). 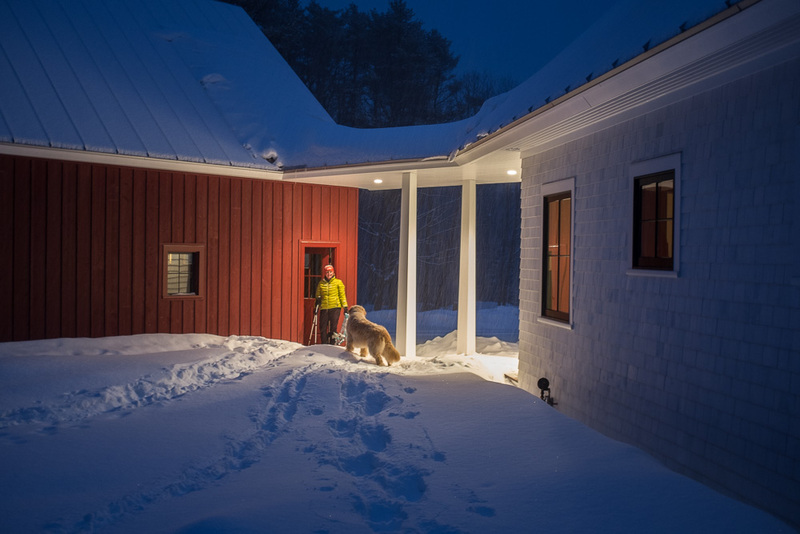 I love the photo of the house with just the light glowing from the breezeway. 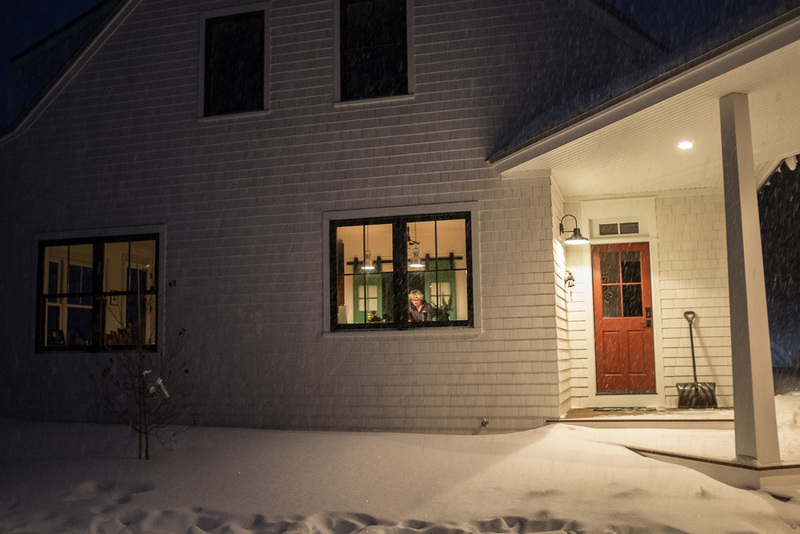 Love modern farmhouses, especially in snow – so many opportunities for great photographs; endless possibilities. Makes getting anything done nearly impossible, but make for a rewarding life and home experience for sure. You’re being way too kind, but thanks. And totally agree with your comment regarding modern farmhouses and snow. These are truly just grab shots with an x100s — someone with some talent could have a field day here. It looks beautiful and peaceful. Enjoy that fire.